Egypt's El Sewedy Electric Co and Arab Contractors will be involved in building a $3 billion hydroelectric plant in Tanzania that is to more than double the country's power generation capacity, the Tanzanian energy minister said. The project is located in a World Heritage site and has faced opposition from conservationists, who say the construction of a dam on a river that runs through the Selous Game Reserve could affect wildlife and their habitats. 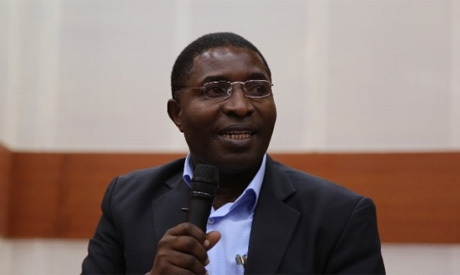 The minister, Medard Kalemani, said in comments broadcast on state television on Wednesday that the plant would have an installed capacity of 2,115 megawatts. "The project will be implemented by Egyptian firm Arab Contractor, with a joint venture with El Sewedy Electric," Kalemani said, adding: "This is a very huge dam project." Representatives of state-run Tanzania Electric Supply Co, El Sewedy and Arab Contractor signed the agreement in the presence of President John Magufuli and Egyptian Prime Minister Mostafa Madbouly, TV broadcasts showed. Magufuli said on Tuesday the East African country was moving ahead with the project due to improved revenue collection by the government, without giving details. Arab Contractors will have a 55 percent stake in the project and El Sewedy 45 percent, El Sewedy's head of marketing, Ahmed Hassouna, said on Tuesday.